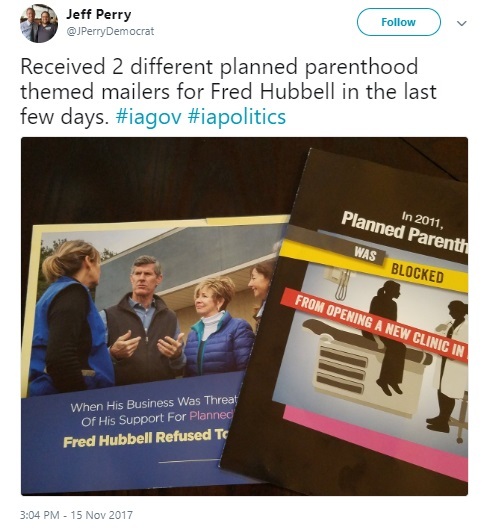 Hubbell served on Planned Parenthood of Mid-Iowa’s Board of Directors from 1982-1987 and on the organization’s Foundation Board from 1985-1992. As chair of the board in 1984, he led the search committee that hired longtime President/CEO Jill June. Additionally, he and his wife Charlotte also helped Planned Parenthood overcome barriers to open a new health center in Dubuque in 2011. 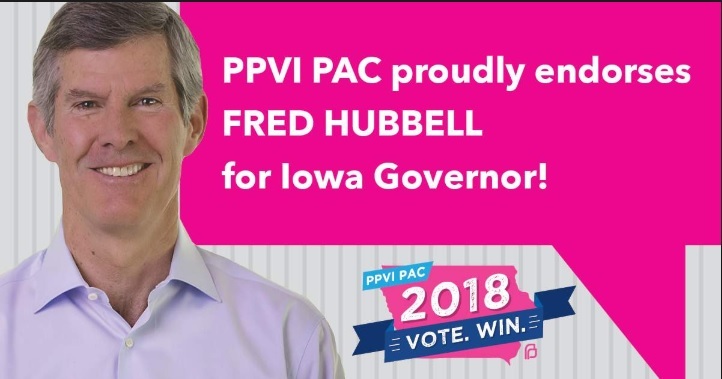 Hubbell, who initially self-funded his campaign, sent primary mailers out touting his support of the organization, despite its long list of abuses. “Helped”? 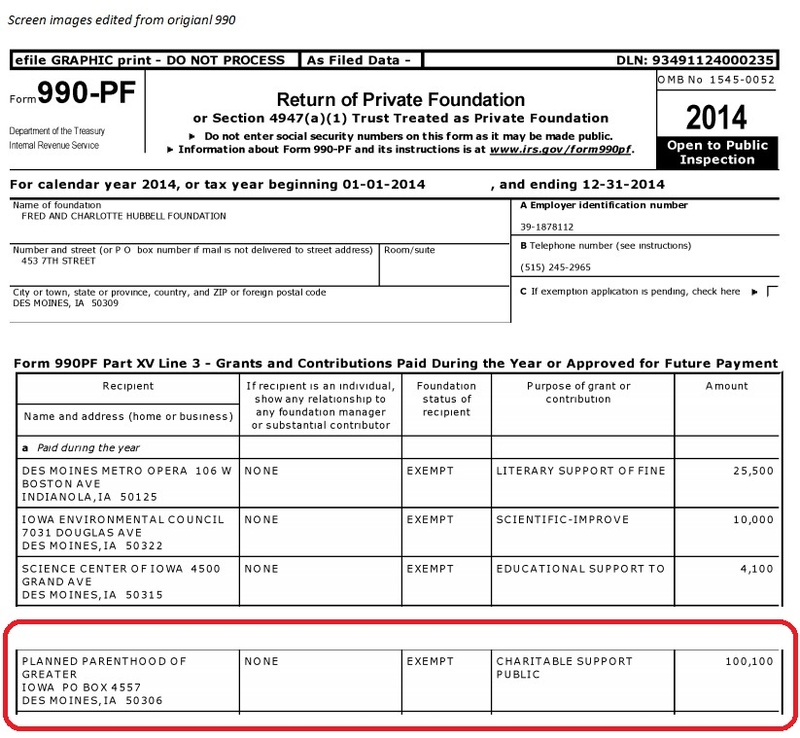 The Iowa gubernatorial candidate used his own money to purchase the building. 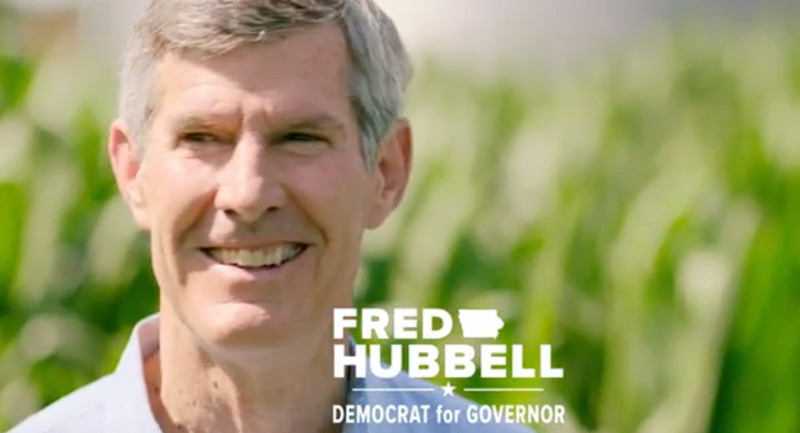 Live Action News reached out to the Hubbell campaign for a statement, but as of the writing of this article, they have failed to respond. 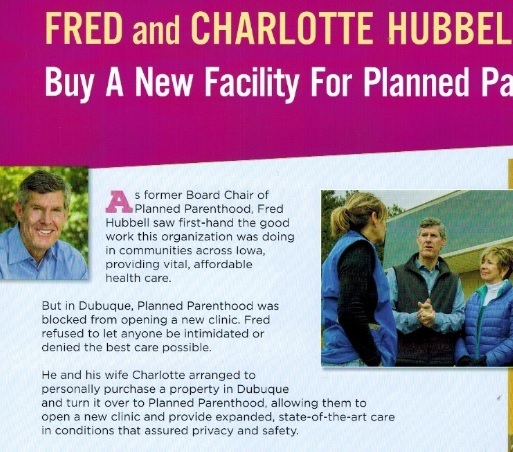 Despite the alleged “need” and a ton of Hubbell money flooding Planned Parenthood, the Dubuque facility opened in 2014 and then abruptly announced a closure in January of 2016, citing a lack of demand for its services. Dubuque wasn’t the only Planned Parenthood closure in the state. Jenifer Bowen, president of Life Right Action, told Live Action News that between 2010 and 2017, 20 of the abortion corporation’s centers closed statewide. 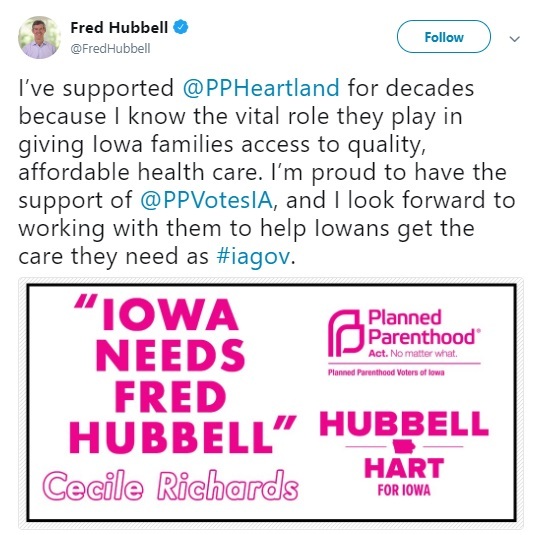 Perhaps Iowa residents don’t need abortion or this organization’s version of “healthcare” as much as Hubbell thinks they do.